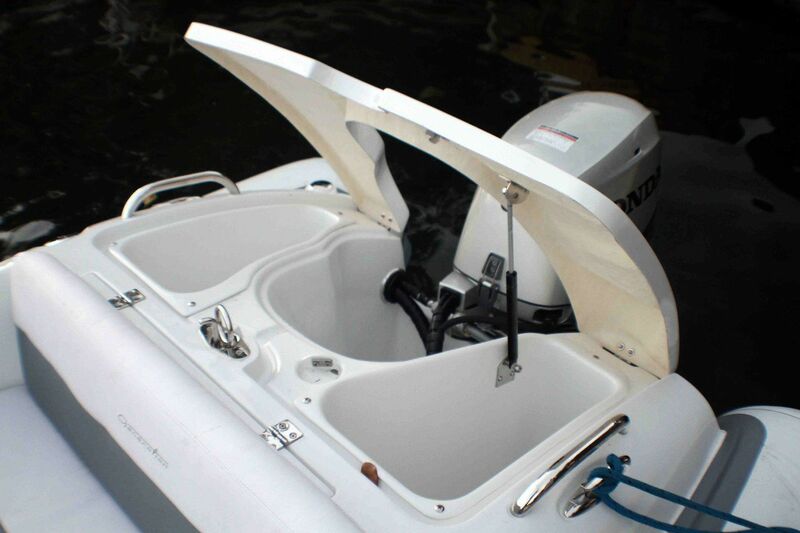 outboard inflatable boat / rigid / side console / 7-person max. 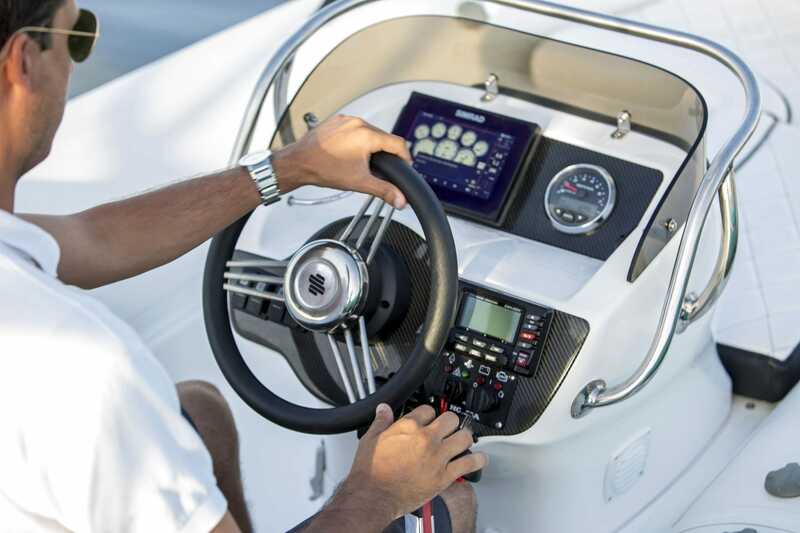 Boasting a highly detailed hull design and superior hydrodynamics, the Generation 400 deluxe rigid inflatable boat outperforms its class with exceptional handling at high speeds. 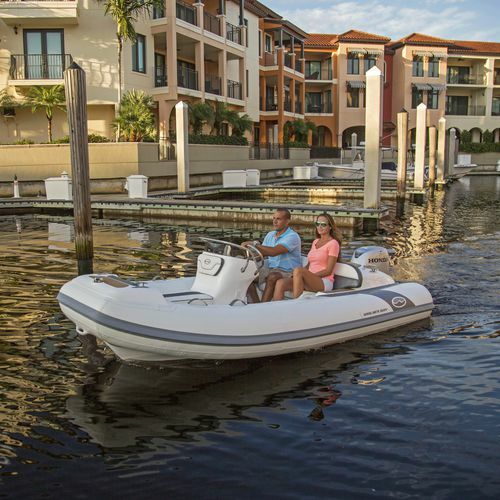 The incredibly smooth ride and ample space in the Generation 400 are a step above all other luxury inflatable console boats. 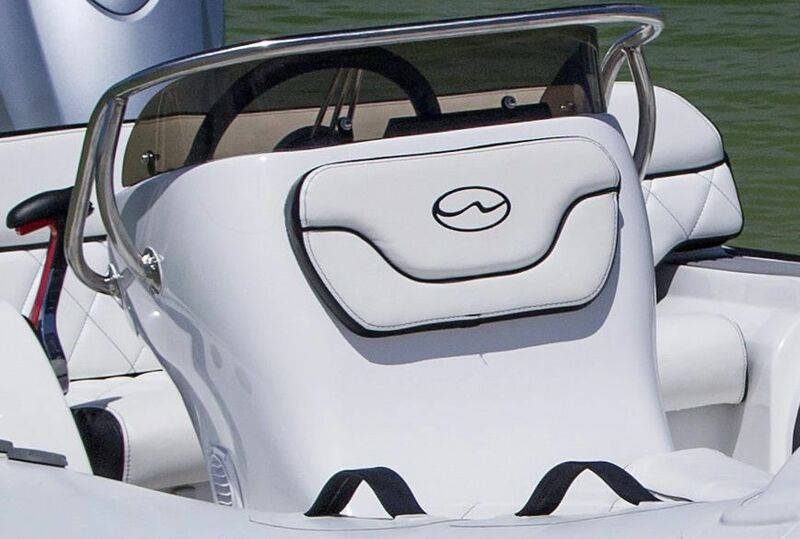 More leg room, additional rear storage and a deep V-Hull provide more comfort and space than any other RIB in its class, and the integrated ski pole and boarding ladder provide more fun on and in the water. 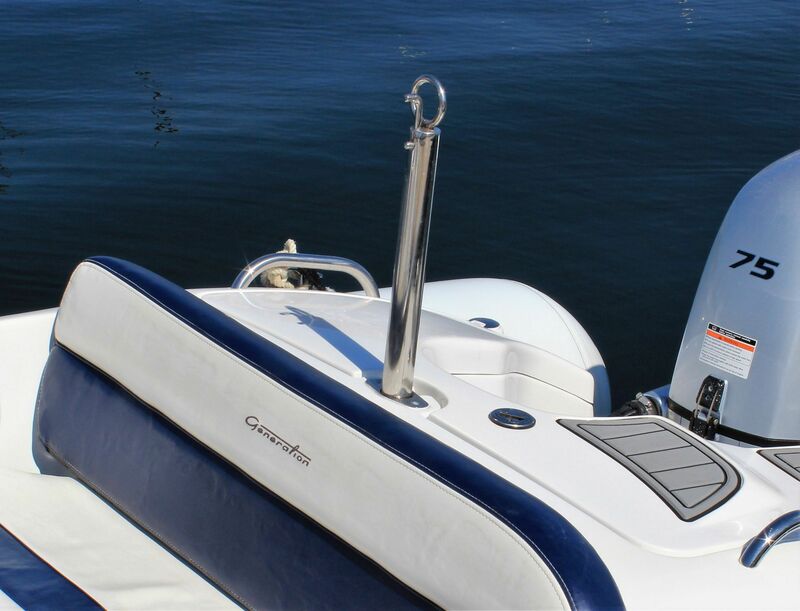 The extra deep V-hull in Walker Bay Generation yacht tenders is made for cutting through water. As well, the customized gas tank fits in the bow section of the keel, moving weight forward in the boat to further reduce the impact of rough chop and contribute to early planning.